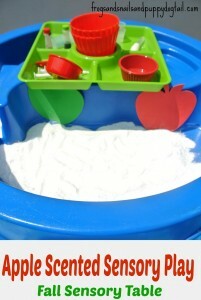 We love our water table. 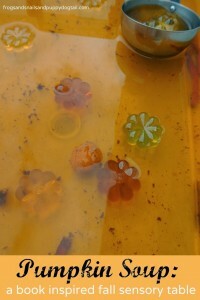 Water play is one of my kids favorite afternoon activities during the summer. 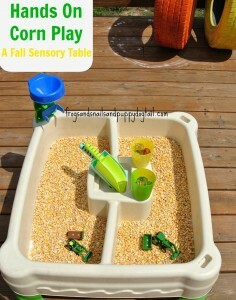 Once fall comes we stop putting water in the table and start adding new sensory material that we can have just as much fun with. 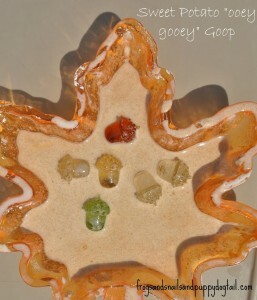 With fall fast approaching I thought it would be fun to do 4 fun fall sensory tables with the boys. Each one exploring a new texture and scent. 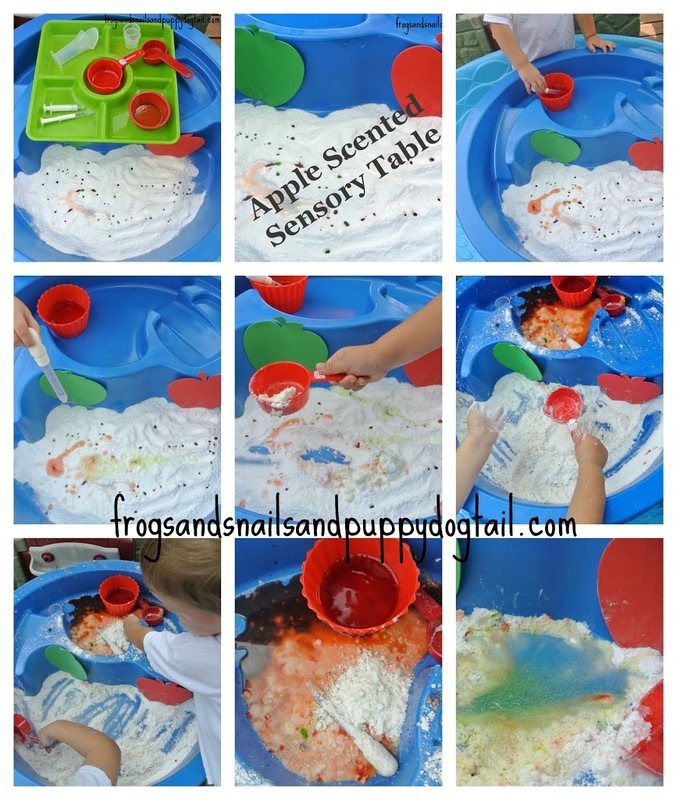 To start it off we did none other than an apple scented sensory table. 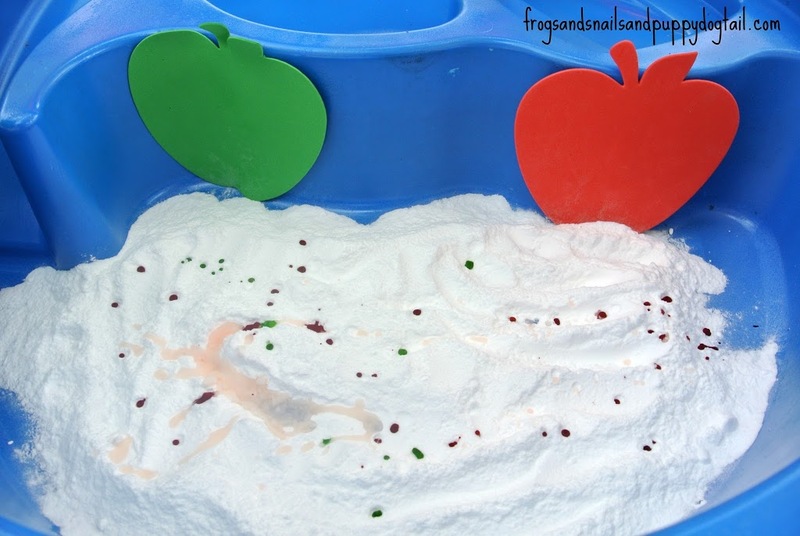 baking soda a few boxes, vinegar, red and green food coloring, apple scent (we used in our apple soap), 2 foam apples from target, water table, tray, bowls, scoops, and medicine droppers. I taped the 2 foam apples to the sensory table for decoration. I poured 2-3 boxes of baking soda in the table. I set the tray out with a few items listed above. 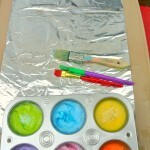 I dropped a little food coloring in the baking soda and poured the apple scent over the baking soda also. 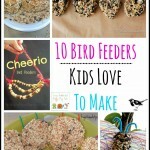 Now the kids couldn’t wait to get playing! 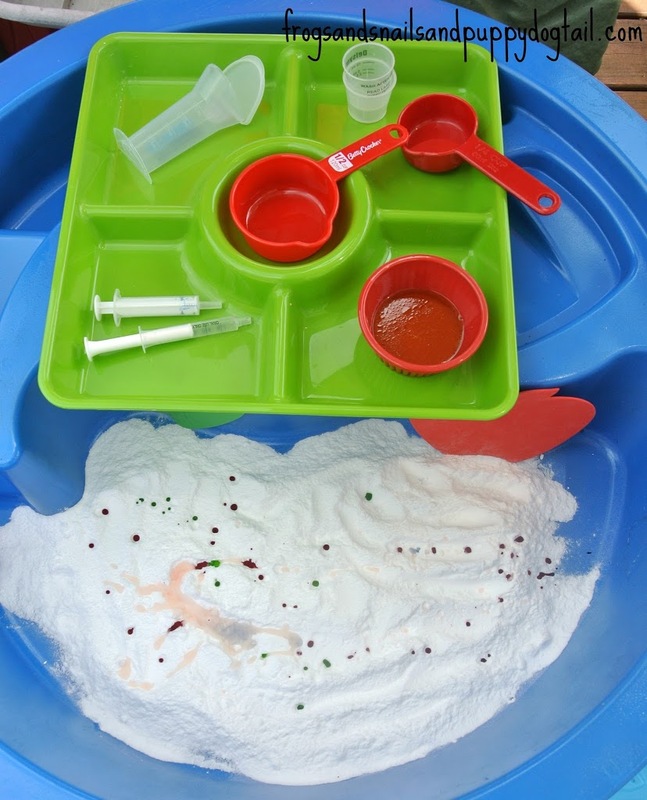 They rushed in and started adding the vinegar to the baking soda. 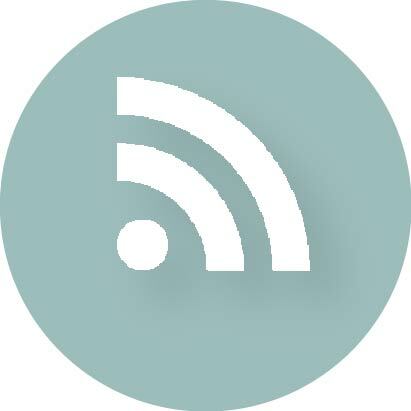 this is a simple science experiment for the kids to see the fizzing reaction when the 2 are used together. We also used these 2 ingredients in our magic potions. This is always fun at my house. The 2 ingredients also make for great sensory play too. Sensory play is great for exploring our senses. This sensory table is also great for imagination play. 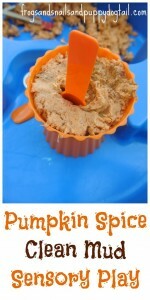 Great for the practicing scooping and pouring. This was a great way to go over colors green and red. It’s also a great way to talk about apples that start with the letter A. We even talked about the new season coming up, Fall. This is messy play. 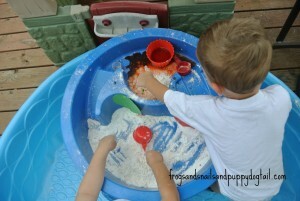 I often have to leave a bowl of clean water out for my toddler to clean his hands with during messy play. 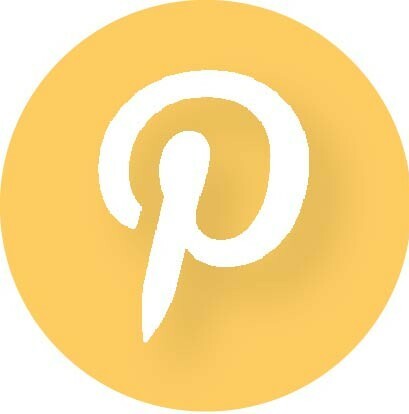 I did just that for this activity. 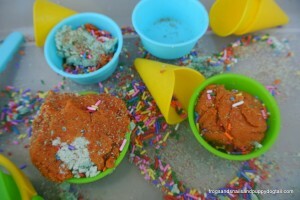 My oldest was in sensory heaven, playing in the messy mix. Once they finished playing, close to an hour in this Fall Sensory Table, I just took the items down off our porch and rinsed them off with the hose. Easy clean up! 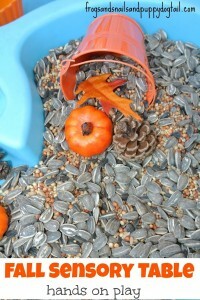 Be sure to check back to see what fun fall sensory table we try next. 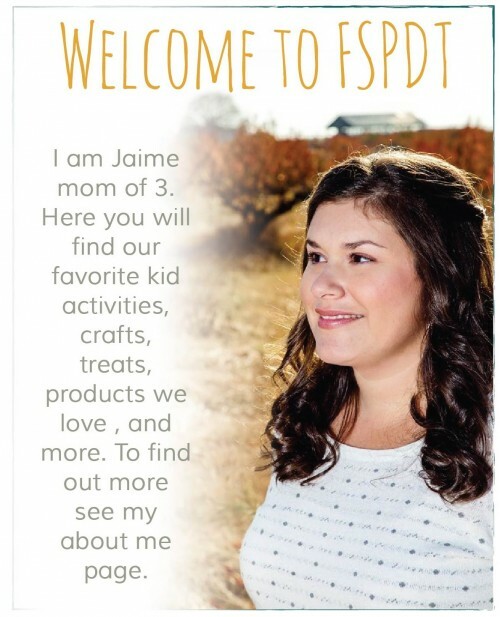 We hope that you and your kids can one one to enjoy too. 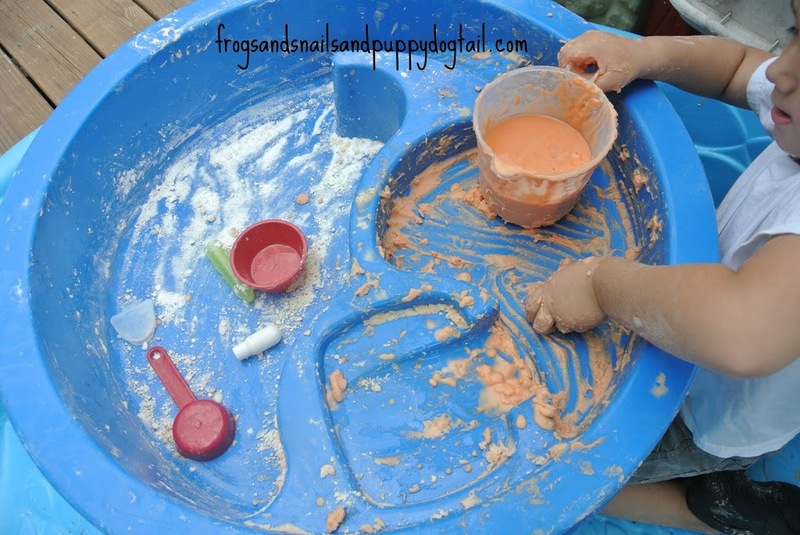 That looks like so much fun, we love messy play. 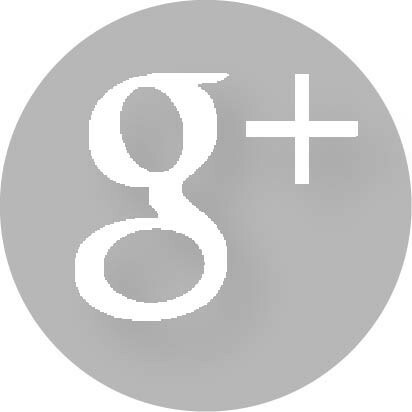 Thanks so much for linking to Challenge and Discover.